All reviews are the subjective opinions of third parties and not of the website or its owners. Reviews are placed by members of the public that have held a function or event at Wishaw Country Sports Club. 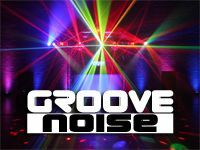 At needadisco.com we only accept reviews from confirmed clients that have booked a DJ to play at Wishaw Country Sports Club via our website, with the arrangements independently verified by both the DJ and the client before the event takes place - no "fake reviews" here! "Great catering and lovely staff. Just very pushy to get you out at the end of the night. They made clear that the bar closed at 23.59 and that they wanted everyone off site by 12.15^ but I was literally hoovered out of the door at 12.05 when I was trying to gather belongings. It was a shame to end the night in that way after a great event. Food received nothing but praise and the venue is a lovely building in a beautiful setting. I know many of the guest would have wanted to book events here but were disappointed with the way staff treated them at the end of the night." Helpful information for DJs and entertainers visiting Wishaw Country Sports Club provided by trusted members of needadisco.com. PARKING: Very good, you can park directly outside the door leading into the function room. ACCESS: Direct into the set up area. FACILITIES: One end of the function room, this venue is a lovely barn conversion, one of the nicest venue of this type I've worked in. It's a good sized set up space with a lit backdrop. The height is restricted as there is a balcony above the set up area. STAFF: Excellent Management, very efficient. PARKING: This is a Barn Conversion, therefore within reason there is lots of parking in what is still a working farmyard. ACCESS: Park outside door, straight into the Function Room. nVery easy. STAFF: Unobtrusive Staff, helpful when approached. ADDITIONAL COMMENTS: "Very nice picturesque and compact setting, easy equipment in and out." Information is based on enquiries and bookings handled via needadisco.com so whilst it's a great insight, if you have any questions or concerns about holding a function or event at Wishaw Country Sports Club please contact the venue. Wishaw Country Sports Club has previously been hired as a venue for private parties such as birthday celebrations, anniversaries, engagements etc. Wishaw Country Sports Club is in our Sports, Social & Members&apos; Clubs category. The map below shows other local venues in the same category.